Dr. Louanne Hudgins received her bachelors degree and medical degree from the University of Kansas, and completed her internship and residency in Pediatrics as well as her fellowship in Human Genetics at the University of Connecticut. She is board certified in Clinical Genetics by the American Board of Medical Genetics. Dr. Hudgins was at the University of Arizona and the University of Washington before she joined the faculty at Stanford in 1999 where she served as Division Chief for Medical Genetics from 2008 through 2016. Dr. Hudgins is currently the Director of the Perinatal Genetics and Director of the Clinical Genomics Program at Lucile Packard Children’s Hospital Stanford, as well as the Medical Director of the MS Program in Human Genetics and Genetic Counseling at Stanford University. Dr. Hudgins has been active in the American College of Medical Genetics serving on the Board of Directors, as Vice President of Clinical Genetics, and as co-chair of the Professional Practice and Guidelines Committee. She is currently President of ACMG She is also an active member of the American Society of Human Genetics, the Western Society for Pediatric Research, and several regional, state and local genetics groups. She has volunteered with the March of Dimes, and is a member of the Kabuki Syndrome Network Professional Advisory Group. Dr. Hudgins has authored over 100 journal articles and book chapters, edited the textbook Signs and Symptoms of Genetic Conditions: A Handbook, and has given hundreds of presentations on various aspects of genetics and genetic counseling. Her research interests include syndrome delineation, gene discovery for “unknown” genetic disorders, and noninvasive prenatal genetic screening and diagnosis. Dr. Karnes received his Bachelor of Arts degree in Ancient Greek from the College of William and Mary. In 2004, he moved to Gainesville, FL to pursue a Doctor of Pharmacy at the University of Florida, which he completed in 2008. He remained at the University of Florida to pursue a Doctor of Philosophy in Clinical Pharmaceutical Sciences. His graduate work focused on the pharmacogenomics of adverse metabolic effects of antihypertensive drugs under the mentorship of Drs. Julie Johnson and Rhonda Cooper-DeHoff. In August 2012, he began a research fellowship at Vanderbilt University under the mentorship of Dr. Dan Roden. At Vanderbilt, his research studies focused on cardiovascular pharmacogenomics and he served as the Jason D. Morrow Chief Fellow for the Division of Clinical Pharmacology. In September 2015, he joined the faculty at the University of Arizona College of Pharmacy in the Department of Pharmacy Practice & Science. Dr. Karnes is an author on thirty one peer-reviewed manuscripts and thirty two abstracts presented at national and international meetings. He is active in multiple professional societies including the American Society for Clinical Pharmacology and Therapeutics, the American Heart Association, and the American College of Clinical Pharmacy. He is supported by an American Heart Association Scientist Development Grant and an American College of Clinical Pharmacy Research Institute’s Futures Award. Daruka Mahadevan, MD, PhD is a Professor of Medicine and Director of the Phase I Program and Co-Director of Experimental Therapeutics at the University of Arizona – Arizona Cancer Center. He is a recognized expert and highly experienced Physician-Scientist in Hematology and Oncology. He received his medical degree from the University of London, England, UK. Dr. Mahadevan completed a post-doctoral Fogarty International fellowship at the National Cancer Institute/NIH and was a senior research scientist at Celltech Therapeutics, London, England. He completed an internal medicine residency at University of Connecticut and fellowship training in Hematology/Oncology at the AZCC. He is certified by the American Board of Internal Medicine, subspecialty of Medical Oncology. Dr. Mahadevan’s major area of clinical interest is in the treatment and management of patients with Pancreatic cancer, Gastrointestinal Stromal Tumors (GIST), Myelodysplastic Syndromes (MDS) and non-Hodgkin’s lymphoma (NHL) including Chronic Lymphocytic Leukemia (CLL). Dr. Mahadevan's laboratory expertise is to discover novel therapeutic targets by a rigorous validation process and then design drugs to these targets using a structure-based drug discovery algorithm. To this end he has been successful in taking a small molecular inhibitor to c-Kit/PDGFR all the way from the bench to the clinic. MP470 (Amuvatinib), a c-Kit/PDGFR tyrosine kinase inhibitor, is now in Phase I clinical trials. He has a demonstrated track record of delivering first-in-human investigational agents for all oncology therapeutics. In addition, he has successfully directed a structure-based translational drug discovery laboratory program with the award of 6 US patents for new drugs targeting novel driver oncogenes. As PI or Co-PI on several NIH and Foundation grants, he established proof-of-concept and delivered on drug discovery - R01 (AKT PH domain inhibitors) and on drug development - NSF (Prostate cancer translational drug development), SPORE in Lymphoma (Aurora kinase inhibitor therapy for aggressive lymphoma) and SWOG Hope Foundation (targeted therapeutics for aggressive B-cell non-Hodgkin Lymphomas). The CCSG leadership opportunity provided transformational change, utilizing his expertise to create tangible and measurable improvements to enhance research value, build a sustainable New Therapeutics program to optimally deliver patient care and a translational drug discovery platform to dismantle resistance to targeted therapies. Dr. Linda Restifo earned all three of her academic degrees from the University of Pennsylvania – BA (Biology), MD, and PhD (Genetics). Her postgraduate clinical training in adult and child neurology was at Harvard Medical Center’s Longwood campus. She did postdoctoral research training in developmental neurogenetics at Brandeis University. Dr. Restifo now directs a research program on developmental brain disorders using the fruit fly (Drosophila melanogaster) genetic model system, with an emphasis on how mutations and environmental toxins disrupt neuronal differentiation. Her goal is to make intellectual disability (a/k/a mental retardation) and autism treatable with safe and effective drugs. With funding from NIH and Autism Speaks, Dr. Restifo and colleagues developed a novel cellular bioassay, based on primary culture of developing brain neurons, which reveals defects caused by mutations or neurotoxins. Their published proof-of-concept drug screen identified potential treatments for developmental brain disorders. Work in progress will determine which genetic defects are most likely to respond to which drugs. Such treatments would represent a dramatic improvement in the medical care of children with cognitive or behavioral delay due to transmitted or de novo mutations. Her collaborators include human geneticists, computer scientists, computational chemists, mechanical engineers, physicians in neurology and psychiatry, as well as other neuroscientists. In the teaching arena, Dr. Restifo is highly motivated to bridge the cultural divide between the worlds of clinical medicine and laboratory science that slows progress in translational medicine. Dr. Tardiff is a Professor of Medicine, Biomedical Engineering and Cellular and Molecular Medicine at the University of Arizona College of Medicine and is the Vice Chair of Medicine for Research. She holds the Steven M. Gootter Endowed Chair for the Prevention of Sudden Cardiac Death and is the Director of the Banner University Hospital – Tucson Hypertrophic Cardiomyopathy Clinic. Dr. Tardiff is an internationally known expert on the molecular pathogenesis of hypertrophic cardiomyopathy and has developed an integrative platform encompassing computational approaches coupled to high resolution spectroscopy, single myocyte physiology and transgenic murine models of genetic cardiomyopathies. Her work has formed the basis of ongoing clinical trials to assess the efficacy of calcium channel blockade and improving energy utilization in patients with preclinical hypertrophic cardiomyopathy. More recently her group has focused on the rational design of novel disease modulators and the role of isoform switching in disease progression. Her program has been continuously funded by the NHLBI since 2003. Dr. Tardiff holds national leadership positions at the American Heart Association and the International Society for Heart Research and has served on numerous NIH study sections including chartered memberships on both Cardiac Contractility and Heart Failure (NHLBI) and Myocardial Ischemia and Metabolism. Marc S. Williams, MD, FAAP, FACMG, FACMI is a clinical geneticist. He is the director of Geisinger’s Genomic Medicine Institute. He is the co-PI of the Geisinger eMERGE project and is the medical director of the whole genome sequencing clinical research project. He is site PI and leads the EHR workgroup of the NHGRI funded ClinGen project. He is on the NHGRI Genomic Medicine working group. He has participated in the Personalized Medicine Workgroup of the Department of Health and Human Services’ American Health Information Community Task Force and was a member of the Secretary’s Advisory Committee for Genetics, Health and Society. He is a member of the EGAPP working group. He is a past member of the ACMG Board of Directors, serving as Vice-President for Clinical Genetics and will rejoin the board as president elect in 2019. He is past chair of the ACMG Committee on the Economics of Genetic Services and founded the ACMG Quality Improvement Special Interest Group. He is a member of the Scientific Advisory Board of the Clinical Pharmacogenetic Implementation Consortium and a member of the CPIC informatics committee. He recently joined the Scientific Advisory Boards of the NIH Undiagnosed Diseases Project, and Online Mendelian Inheritance in Man. He has authored over 160 articles on a variety of topics including the economic evaluation and value of genetic services, implementation of genomic medicine, and the use of informatics to facilitate genomic medicine. Raymond L. Woosley, M.D., Ph.D. is Professor of Medicine and Biomedical Informatics in the University of Arizona College of Medicine in Phoenix, Arizona. He is also the founding President of the Arizona Center for Education and Research on Therapeutics (AZCERT), a Tucson-based non-profit organization initially funded by the U.S. Food and Drug Administration to work with the UA COM-P and Banner Health to improve the safe use of medications through application of clinical decision support systems. Dr. Woosley received his medical degree from the University of Miami, FL, his doctorate in pharmacology from the University of Louisville, KY, and his bachelor's degree from Western Kentucky University. After an internship and residency in internal medicine, he completed a fellowship in clinical pharmacology at Vanderbilt University before joining the faculty. He served as Founding Director of the Vanderbilt Cardiac Arrhythmia Center and rose to the rank of Professor of Medicine and Pharmacology and Associate Director of the NIH-funded Vanderbilt General Clinical Research Center. In 1988, Dr. Woosley was appointed Chairman of the Department of Pharmacology at Georgetown University Medical Center in Washington, D.C. He also served as Associate Dean for Clinical Research and Director of the Institute for Cardiovascular Sciences. 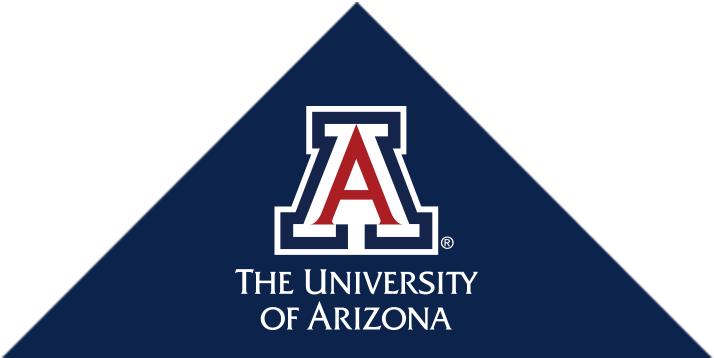 In 2001, Dr. Woosley joined the faculty at The University of Arizona as Vice President of the Arizona Health Sciences Center and the Dean of the College of Medicine. In 2005, he founded Critical Path Institute (C-Path), an independent, non-profit organization created jointly by the U.S. Food and Drug Administration (FDA) and the University of Arizona. C-Path implements the FDA’s Critical Path Initiative by creating consortia of scientists from FDA, industry and academia that improve the testing and accelerate the development of new drugs and diagnostics. In 2012, he left C-Path to launch the non-profit AZCERT.